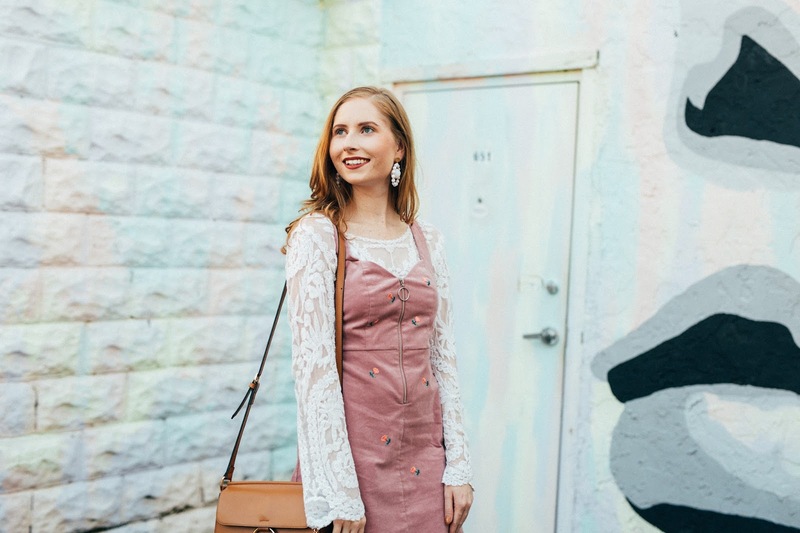 A pinafore dress is so exciting to style. I found this TOPSHOP option recently. The blush pink and cute floral details are what won me over. 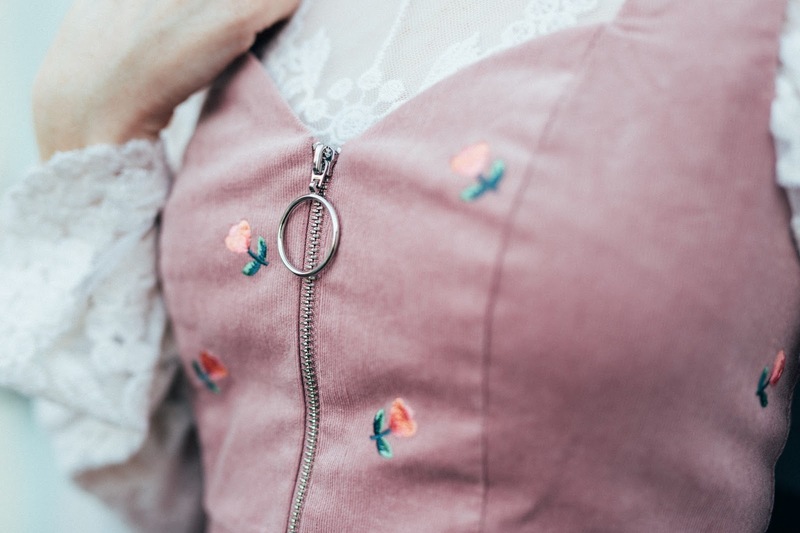 The moto zipper is also a chic addition to such a girly pinafore dress. 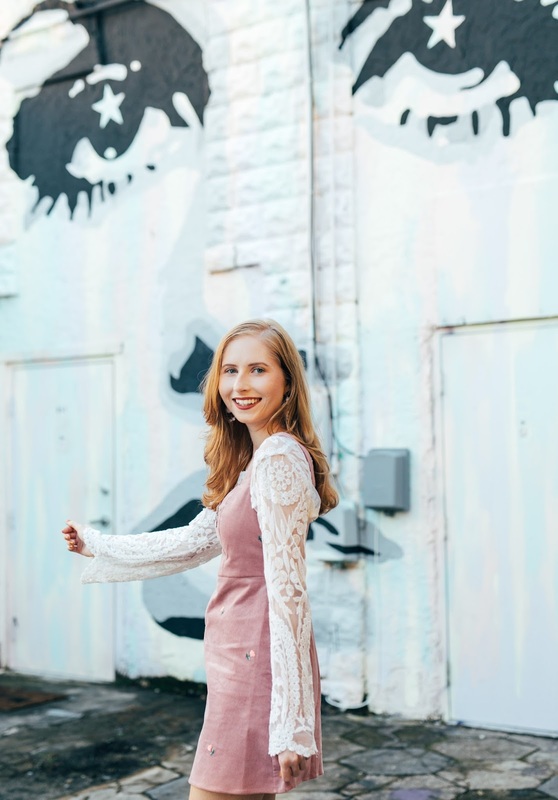 The soft color palette of the mural compliments the light pink color of the dress, too. A GINGHAM version of the dress is also adorable. 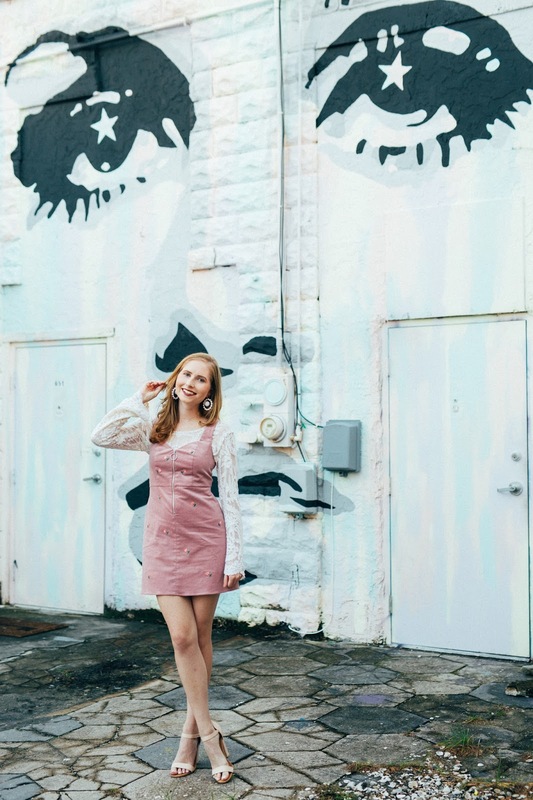 Did you take notice of the mural I shot this look at? It's a Twiggy mural created by artist Chad Mize in Downtown St. Pete. I absolutely love it and the 60s vibes went beautifully with the outfit I had on for the shoot. I really want to spend more time exploring the many murals of the downtown area. This Twiggy one has to be my favorite so far! As usual, I have on my favorite Smashbox LIQUID LIPSTICK to tie my makeup look together. I keep recommending this lipstick to anyone who asks me about it. I simply can't be without it now! The colors are both pigmented and long-wearing, so I recommend this brand if you are looking to buy a new lipstick. 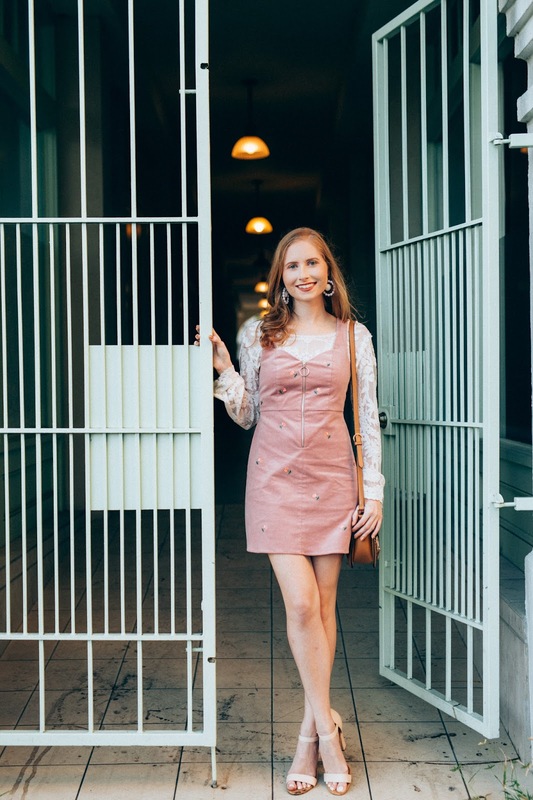 To find more details on the rest of my outfit, I've linked to a few options for you in the slider widget at the bottom of my post for you to check out!